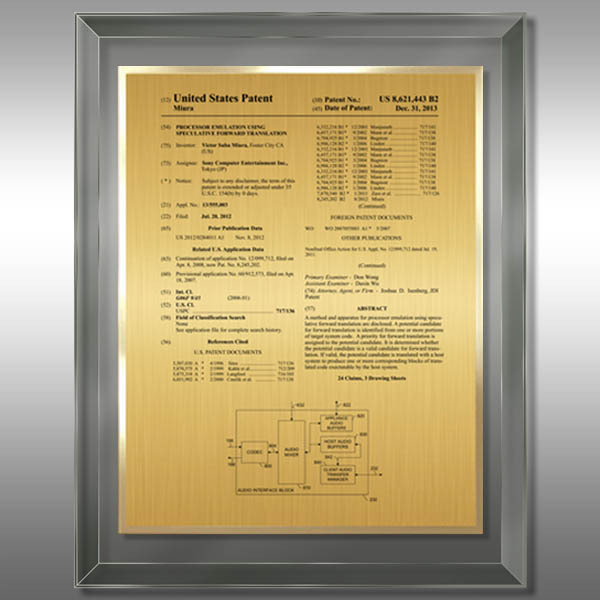 Patent information is digitally imprinted on a Gold HD Plate and accented with a gold trim. Available in Standard Front-Page Layout and four Optional Custom Layouts (Click on photo to see available formats). This Smoked Glass plaque is also available in our Presentation Series. Also available with Black Metal Plates. 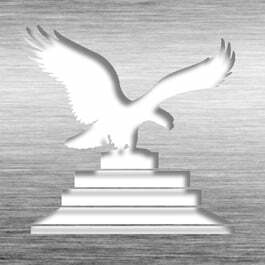 This Patent Plaque - Glass Smoked SG-EZG14 is part of our Modern Series of products, check out other products & options available in the Modern Series of our selection. This Patent Plaque - Glass Smoked SG-EZG14 can be modified to your requirements and is available for your corporate award programs.